The internet is the first place many people go to get information on how to quit smoking. In fact, more than 12 million U.S. adults — a third of all smokers — turn to the internet for help quitting each year, according to a new Truth Initiative study. Published in Nicotine & Tobacco Research, the study examined data from the National Cancer Institute Health Information National Trends Survey to determine how many U.S. adult smokers searched online for help to quit smoking from 2005 to 2017. Researchers found that the number of smokers who searched online for information on quitting tobacco more than doubled over the past 12 years, from 16.5 percent in 2005 to 35.9 percent in 2017. In 2017, an estimated 12,434,691 U.S. smokers searched online for quit smoking information. The findings underscore the role of internet resources in tobacco control efforts and how they can impact public health. "Given the ability to reach roughly one-third of all smokers, and demonstrated effectiveness that is comparable to other recommended forms of cessation treatment, internet interventions have the potential for substantial impact on population quit rates," said Dr. Amanda Graham, research investigator at the Truth Initiative Schroeder Institute® and lead author of the study. Previous Truth Initiative research has shown that internet-based programs can help smokers quit. One study found that web-based programs can be just as effective at helping smokers quit as face-to-face or telephone counseling, and are more effective than print materials. Other research shows that online quit-smoking resources may be a viable option for connecting with young adult smokers who want to quit. 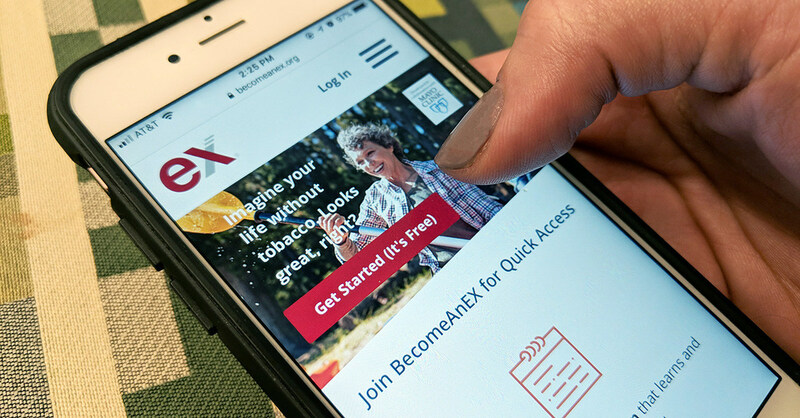 BecomeAnEX®, a digital quit-smoking program developed by Truth Initiative in collaboration with Mayo Clinic, demonstrates the effectiveness of online programs. Research shows that following the EX program quadruples a smoker's chance of quitting. Additional Truth Initiative research found that smokers who became more socially connected on BecomeAnEX were significantly less likely to be smoking three months after they enrolled.